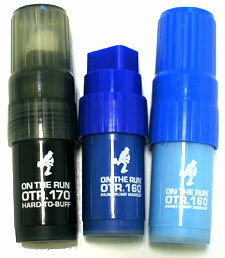 On the Run markers now available in store. We got the .060 large and the .160 shorties. We also have the "flowpens," "stainless," and "hard to buff." A large shipment just arrived of large and small empty markers you can fill yourself also.